Here are the last major announcements in this final NAB 2019 blog. Blackmagic Design had a large presence at NAB this year and announced a lot of great new products. This included the latest update to their DaVinci Resolve 16 software plus a range of new 8K products. This is an Ultra HD live production 8 K switcher with lots of features which is ideal for concerts, music festivals and sports events. It has 4 M/Es, 40 x 12G‑SDI inputs, 24 x 12G‑SDI aux outputs, 4 DVEs, 16 Keyers, 4 media players, 4 multi viewers, 2 SuperSource and standards conversion on every SDI input. When switched to 8K, all these features combine to make a powerful 8K switcher. You even get built in talkback and a professional 156 channel Fairlight audio mixer with EQ and dynamics. 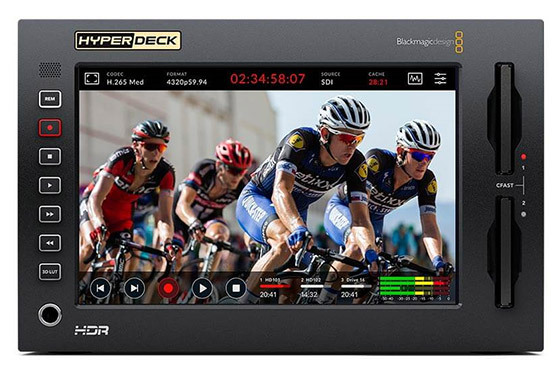 The new HyperDeck Extreme 8K HDR features the trusted reliability of HyperDeck combined with new innovations such as space saving H.265 files, optional internal cache, 3D LUTs, native 8K and HDR support. With the ability to record native 8K in H.265, you get reduced storage costs and amazing image quality. The large touch screen ensures a perfect view of your recording as well as control over all deck settings. HyperDeck Extreme Control gives you traditional deck control features with a built in editor for automating the ingest of legacy videotape based programming. Combined with HyperDeck Extreme, you get a professional deck solution that’s exciting and fast to use. There are transport control buttons, timecode, deck status, plus a large search dial with electronic clutch for jog, shuttle and positioning. Controlling up to 8 separate decks is possible using standard RS‑422 ensuring compatibility with virtually any type of deck. Teranex Mini SDI to HDMI 8K HDR is an advanced 8K monitoring solution for large screen televisions and video projectors. Unlike basic converters, Teranex Mini can use third party calibration probes to accurately align connected displays for precise colour. There are 2 on‑screen scopes that can be selected between WFM, Parade, Vector and Histogram. Teranex Mini SDI to HDMI 8K HDR is perfect for film studios and broadcasters who need professional but affordable colour accurate monitoring. Blackmagic MultiDock 10G is an advanced SSD dock that lets you access 4 separate SSDs via a single high speed 10 Gb/s USB‑C connection. 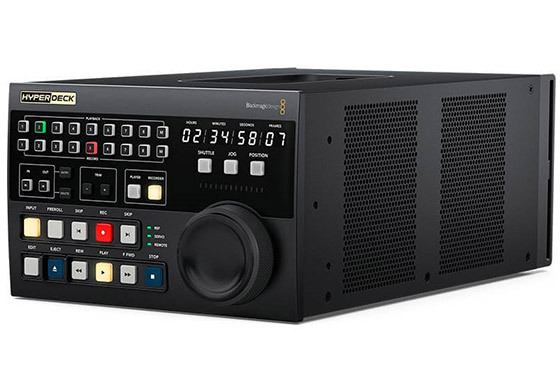 Unlike cheap consumer adapters, Blackmagic MultiDock 10G has been specifically designed for the film and television industry and features a rack mount design with an independent SATA driver chip on each disk, ensuring much faster data transfer speeds. 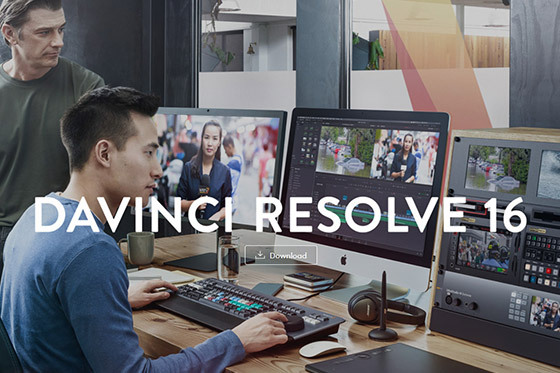 The updates on the DaVinci Resolve 16 included new CUT page specifically designed for editors that need to work quickly and on tight deadlines. Also they included a new DaVinci Neural Engine for advanced machine learning and dozens of performance and workflow improvements. Blackmagic Design also announced a new dedicated keyboard for Resolve, which will go on sale later in the year. 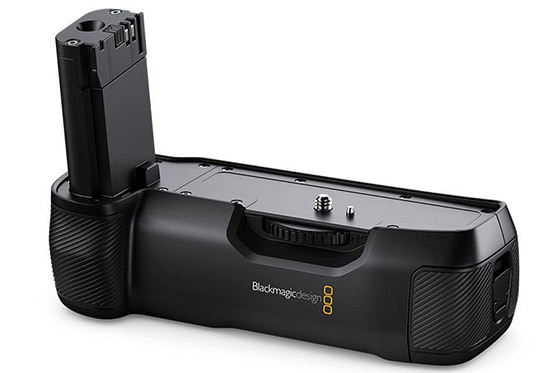 Blackmagic announced a new Pocket Camera Battery Grip, designed to significantly extend the battery life thanks to its intuitive design and ability to hold 2 x Sony L Series batteries giving your camera hours of recording time, while at the same time powering external SSD drives through the USB-C port. The Pocket Camera Battery Grip is expected to ship in August for around £200. 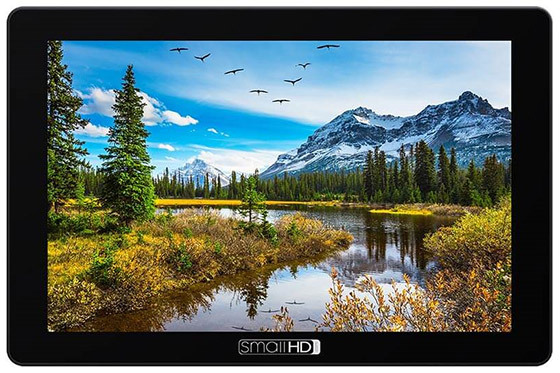 A good NAB for SmallHD with the announcement of 2 new monitors the Cine 7 a professional 7" monitor with ethernet camera control and the 702 Touch a rugged, workhorse 7-inch Daylight monitor. 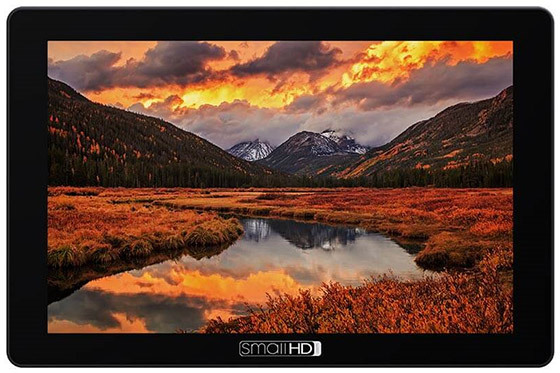 This is the monitor that just keeps on giving…it is not only almost twice as bright as the previous monitor at 1800 nits, you get camera control your via the touch screen and there will be 4 different models that offer built in Teradek Bolt wireless transmission technology !!!! The big news obviously is that you have access to your camera controls via the touch screen monitor. At the moment is only for the ARRI ALEXA MINI, AMIRA and ALEXA MINI LF Min cameras but going forward that will include other manufactures. ARRI camera control (via Ethernet). * Support for additional manufacturers coming soon. The 702 Touch is a rugged, workhorse monitor with a bright 7-inch LCD screen. It has a compact, lightweight profile that fits easily on top of a DSLR, mirrorless camera, or a gimbal rig with support for HDMI and SDI video input and output. Not as ground breaking as the Cine7 but good all the same.